I presented a poster on May 14-15 at the 2014 BIO World Congress on Industrial Biotechnology, summarizing the regulation of industrial biotechnology in several countries and regions around the world. You can find the poster here on my SlideShare site. I’ll also use this blog to provide some additional information on these various regulatory regimes, beyond what can be presented in the confines of the poster. The poster presents very brief summaries of relevant regulations in several important countries and global regions that might affect the use of genetically modified microorganisms, algae or plants for the production of biofuels or bio-based chemicals. Regulatory regimes are described for three industrial approaches: contained use of microorganisms in fuel or chemical manufacture; open-pond use of algae or photosynthetic bacteria to produce fuels or chemicals; and the field testing and commercial cultivation of transgenic plants as feedstocks. I’ve discussed biotechnology regulatory issues in many countries around the world in previous blog entries, and in today’s entry and in ones that follow I’ll include links to those previous entries dealing with the countries covered in the 2014 poster. In some cases I’ll supplement those earlier posts with some additional information not previously covered. My earlier posts were made primarily during the following time periods. When I first originated the blog in 2010, I posted a series of entries discussing the regulations affecting the contained use of modified microorganisms and the outdoor use of transgenic plants in several of the more important countries and jurisdictions. These posts began with an entry on April 6, 2010. When I resumed the blog in 2013, I updated those entries and expanded the scope to several other countries – those entries, which were limited to discussion of the regulation of contained manufacturing with modified microorganisms, began with an entry of March 12, 2013. Last fall, to accompany a poster presentation at the 2013 Algae Biomass Summit, I posted a series of entries discussing how uses of microorganisms and algae would be regulated, both in contained manufacturing and in open ponds, in a number of countries. Those entries began with a blog on September 16, 2013. Many national laws are based on the principles of the Cartagena Protocol on Biosafety, part of the Convention on Biological Diversity, which was adopted in January 2000. Under such laws, government approvals are generally needed for importation of Living Modified Organisms (LMOs) into countries, and for many industrial activities including “contained uses” or “environmental uses”. Such approvals may often require a risk assessment of the LMO and its proposed use. The principles of the Protocol are often a useful guide to the biosafety policies or regulations of many governments, particularly in the developing world. More information can be found at posts of March 12, 2013 and September 16, 2013. In the next several days, I’ll post additional entries in the blog containing additional information on the specific countries covered in the 2014 BIO World Congress poster. I’ll add links to these blog pages below as they are posted. Asia (China, Japan, Indonesia, Malaysia) and Australia. By the way, there are other areas of regulation not discussed here, such as the requirements for certification of renewable fuels and the regulations governing the use of spent microbial biomass in animal feed (e.g., in dried distillers grains). I’ve discussed these other topics here in the blog from time to time, and I’d be happy to answer questions about these or any aspect of biofuels/bio-based chemical regulation. 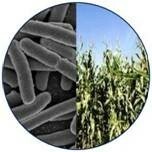 I’ve been invited to speak at the Sixth Annual Biofuels Law and Regulation Conference in Champaign, Illinois on May 2, 2014. I’ll be part of a panel addressing legal and policy issues affecting the commercial development of biofuels. The conference is sponsored by the Energy Biosciences Institute, and the conference is intended to focus on “exploring new ways that biofuel policies can be re-imagined in order to continue promoting growth in the developing biofuel industry.” The conference aims to involve leading academic, scientific, government, and industry experts, with opportunities for in-depth discussion between and among speakers and audience members, and the organizers expect the program will appeal to a variety of stakeholders, from various industry sectors. You can find more information and links for registration at http://www.biofuellawconference.org. Later in May, I’ll be attending BIO’s World Congress on Industrial Biotechnology, May 12-15, 2014 in Philadelphia. I’ll be presenting a poster on “International Regulation of Industrial Biotechnology”. The BIO World Congress is billed as the world’s largest industrial biotechnology event for business leaders, investors, and policy makers in biofuels, biobased products, and renewable chemicals. If you’re attending the conference and would like to meet, please let me know. Details are also being finalized for another invited talk at a biofuels conference later this spring — I’ll report on that when everything has been worked out. I’ll be reporting on any newsworthy developments or interesting discussions that take place at these meetings, and I’ll certainly be posting my slides and a copy of my poster after each conference.